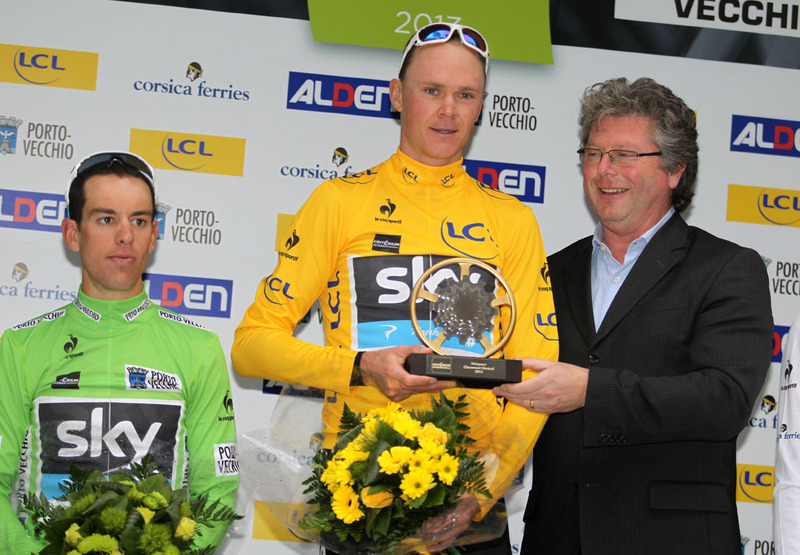 Chris Froome (Sky) won the final stage of Criterium International on Sunday in Corsica to take the overall win. Overnight leader and Sky team-mate Richie Porte placed second overall. 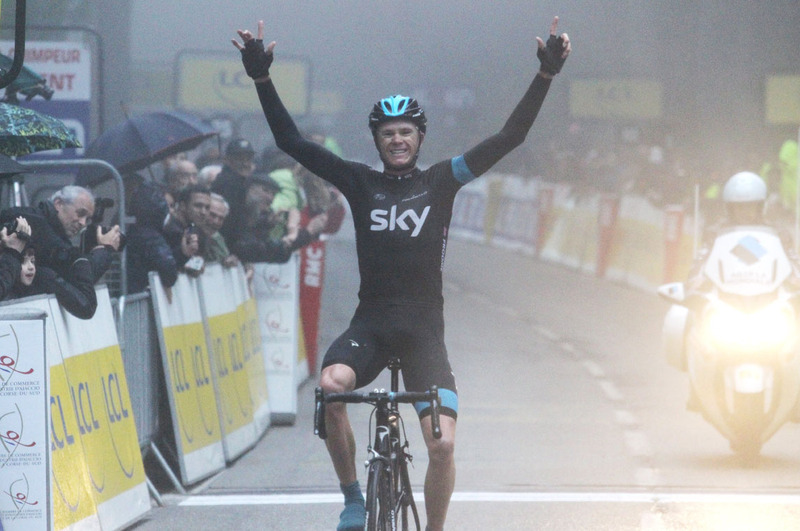 Froome took a solo win atop Col de l’Ospedale after a mountainous final day’s racing. Porte finished the stage at 30 seconds after attacking the remainder of the lead group, with Bauke Mollema (Blanco) in third at 45 seconds. Sky collectively led the pace to catch an early break, and then continued up the final climb to nullify any attacks by other teams, eventually launching Froome for the win within the final six kilometres. Froome finished atop the overall classification 32 seconds ahead of Porte, and 54 seconds ahead of third-placed Tejay Van Garderen (BMC Racing). Last year’s winner Cadel Evans (BMC Racing) was dropped from the lead group on the final ascent. It’s Froome second stage race win of the season having won the Tour of Oman, he also won a stage of Tirreno-Adriatico on the way to finishing second overall behind Vincenzo Nibali (Astana). Both Froome and Porte will ride in the Tour de France and used Criterium International as preparation for July. Along with his win in Paris-Nice, Porte’s strong performance in this weekend’s race has shown that he is a strong option for Sky as a Grand Tour contender alongside Froome and Bradley Wiggins.